EDITOR'S NOTE: Today's post was written by Imagine's newest team member, Shannon Henrici. Shannon has several years of experience providing SEO services. We are excited to have her on the team and plan to continuing sharing her knowlege with you through the blog. Websites are a critical piece of all demand generation strategies. B2B marketers spend significant time creating sites that look great, deliver the right message, provide multiple opportunities for conversion and leave their visitors wanting more. But that is only half the battle. Those visitors need to be able to find your site in the first place…ahead of your competitors. That’s where Search Engine Optimization or SEO comes in. Over the last few years, SEO has changed significantly. Tactics that worked in the past, no longer work. Some tactics have even been “outlawed” by Google. Let’s face it. B2B marketers…especially those at small and mid-size businesses…have a lot on their plates. In most cases, the marketing department is small. It might even be just a one-person team. That means having an SEO expert as part of your team is unlikely. And with SEO changing at the rate it does, knowing if your SEO strategy is keeping pace can be a challenge. It may even seem scary. Google is handing out penalties to sites that don’t adhere to the new rules of the game. Penalties are never good. So what’s a B2B marketer to do in today’s world of SEO? Well, as it turns out, some of the new rules of SEO are exactly what you’re already doing. Of course, there are some areas that are a little more complicated. Here are the three most important areas for you to focus on now. Keyword research has changed dramatically. In the past, the basis behind picking keywords was to find the terms that best described your business, narrowing down that list to about 10 or 20 based on competition and traffic. 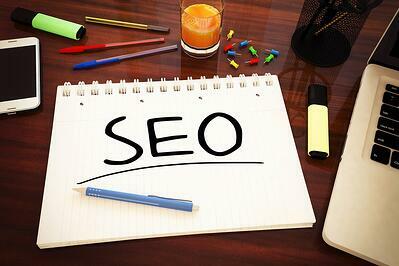 Then you would optimize your site for those keywords. Today, keyword research is more about finding the questions your buyer personas are asking and building multiple phrases that address those questions. In a recent post on Quick Sprout called “The Proven Method to Ranking on the First Page of Google For Any Long-tail Keyword,” Neil Patel says that the best performing keyword phrases are approximately 4 to 10 words deep. Additionally, today’s search engines use Semantic search to rank search results. Semantic search seeks to improve search accuracy by understanding the searcher's intent and the contextual meaning of terms as they appear in the searchable dataspace, whether on the Web or within a closed system, to generate more relevant results. With this in mind, it stands to reason that the more words in a phrase the easier it is to determine the intent of the search. But if my search is “Inbound Marketing agency for B2B in Atlanta," the intent of the search is easier to understand and the traffic from this term would be more targeted for an inbound marketing agency. This type of search has been around for a few years now and is only getting better. Therefore, using keyword phrases that focus on the intent of the user are going to bring in a more targeted traffic and have less competition for search ranking positions than broad terms. As far as actually using your keywords to impact SEO, here's a quick list of how you should be using them. Content and headings: Use keyword phrases for topics for your webpages and blogs. Sprinkle them in the content, use them as titles and heading on the page. Page titles: Not to be confused with titles on the page, these titles don’t have to be the exact title of your blog or content. They can be written specifically for the search results. Rules of thumb - page titles shouldn’t be over 65 characters and should include the most important keywords at the front of the title. Meta descriptions: While keywords in meta descriptions don’t help with ranking ability, they do have a purpose. Include keywords in your meta descriptions to demonstrate to the searcher that you have the answers to their questions. This is the place to stand out in the crowd of other results to compete for the click. When you include the keywords used for the search, the matches are bolded on the page to help them stand out. In the example below the search term was “B2B Inbound Marketing.” See the bolded terms in the results? Internal links: Build internal links to your webpages and other topic related blogs. Don’t use words like “Click here” or “Read more.” Use keywords to link to these pages instead. Don’t shy away from using exact match keywords if it makes sense. These internal links are going to help with keeping users on your site and will help spread some of the link juice to the other pages on your website. Backlinking: Same rule applies as it does for internal links. When you provide content for other websites, include a link back to your own site using your keyword phrases. Having the right keywords is not enough. Your website also needs to deliver on the promise made by those keywords. This is where truly understanding your buyer personas is critical. Your content should be focused on them. It should also be easy to find, easy to understand and of the quality your visitors expect. Websites that are focused on providing quality information back to the websphere will be rewarded with better rankings for their intended audience. Website content rules have changed. Here are a few rules of thumb to keep in mind. Use your keyword phrases to create topics for your content. Mix it up. You don’t want to repeat the phrase over and over throughout your content. Use synonyms and other phrases that mean the same thing in the body of your articles to present more ranking opportunities. Keep in mind, it is better to rank on the first page for multiple phrases than to rank #1 for one keyword. Users are asking questions in many different ways. Use as many of them as you can in your writing. Longer articles, optimally between 1,200 to 1,500 words, have more opportunity to rank better. This is a change from the original rule of 300 words minimum. It only makes sense that longer articles perform better, because it offers more opportunity for ranking with more terms. Write articles in a natural conversational tone so that it is entertaining, shareable and also uses the language of your users. Focus your topics on the questions being asked by your buyer personas and create pages that answers those questions. The focus of all search engines is the user and providing the best search results for what the user expects. With this in mind, the websites that can deliver on the expectation are going to be rewarded with higher rankings. In today’s environment, a bad user experience can negatively affect your SEO more so than you probably realize. Just take a look at Neil Patel’s article on Huffington Post, “How Badly Is Your UX Hurting Your SEO? (It Could Be Worse Than You Think)." Load speed – Google provides a free tool to measure the load speed for both the desktop and mobile versions of your website, Page Speed Insights Tool. You will receive a grade and suggestions on how to improve it. Responsiveness – Users are browsing the web with so many different types of devices that it imperative that you have a responsive website. It is important for the user experience and is a factor in ranking ability. Google’s algorithm update this year ensures that mobile-friendly websites get a search ranking boost on mobile searches. Average time spent on site – Another good way to measure if your site is delivering the best experience for your users is to watch the amount of time users are spending on your site. If it trends higher, you can conclude that you are delivering on what users expect. Average number of pages visited – This is another metric to watch. If users are visiting more pages on your site, it demonstrates and interest in the content you are offering. SEO is not a set it and forget it practice. It is something you need to evaluate and continue to tweak. Keep your focus on these three areas and you'll be on your way to a successful SEO strategy.